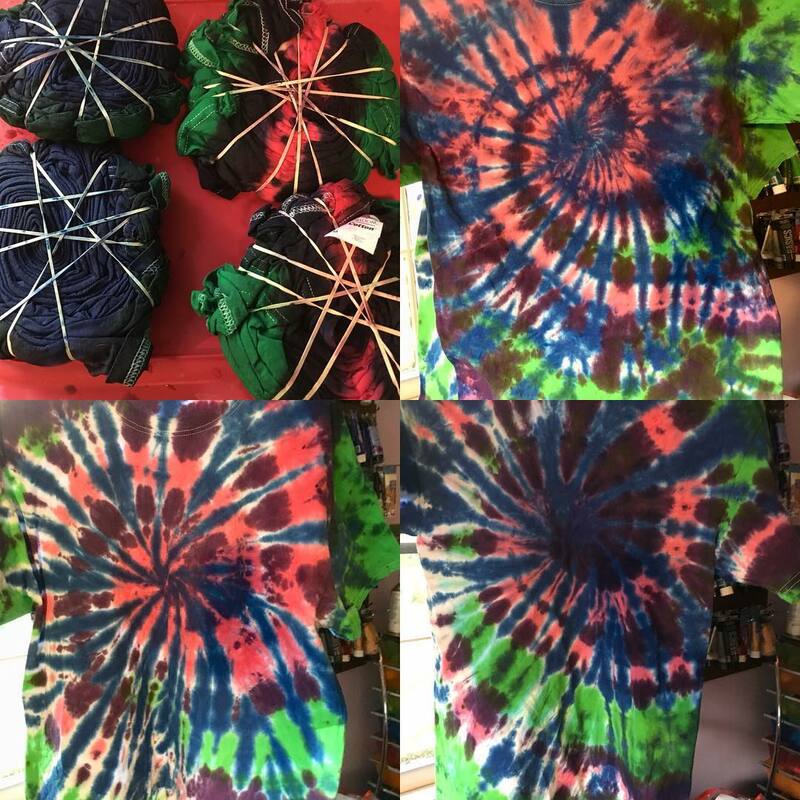 JustATish Designs: The Diversity of a Spiral - Tie Dye How To! The Diversity of a Spiral - Tie Dye How To! Who knew that the classic spiral tie dye was so diverse! 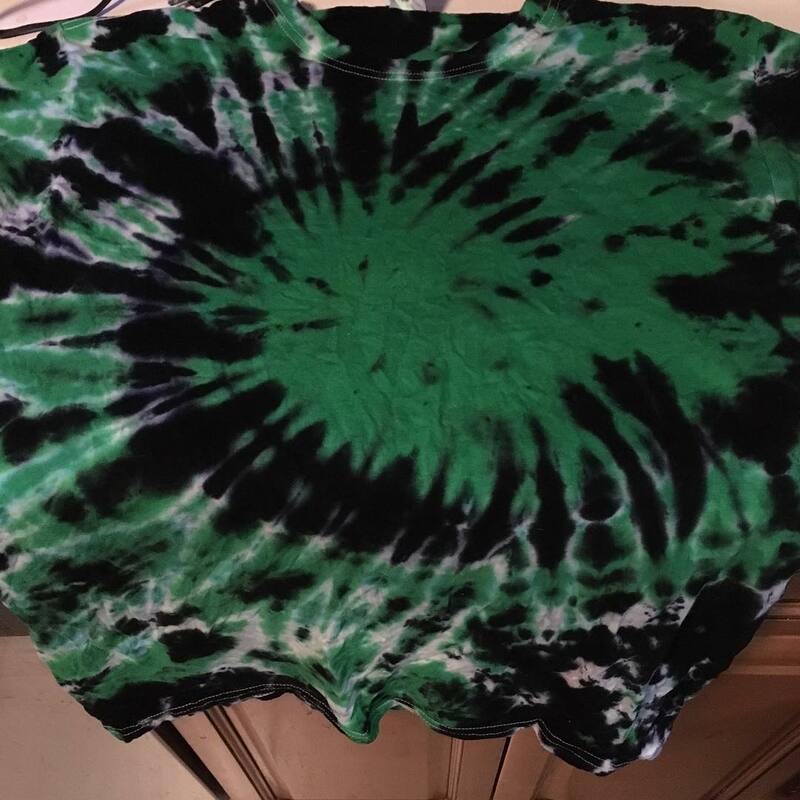 Who knew that the placement of the dye on the spiral created all of the awesome spiral effects that you see on tie dyed shirts! AND even if you do all the dying the same way, how each spiral can vary! This shirt was done with a three color stripe on one side and a solid color on the other side, and see the differences of this shirts! This one is done, with one color on one side, and one color on the other. Very dramatic and bold look! I have done a tutorial on two different dye placements on a spiraled shirt here on my YouTube channel . Tie Dye Tutorial . I have more tutorials coming! Thanks for stopping by! Have a blessed day, and always create!